In this Dream Tour segment, the emo band, Nightwell, shares the artists they would want on their ultimate tour lineup. In this Preshow Rituals segment, the emo band, Widmore, share what they do before every show. 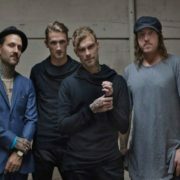 The alternative rock band, The Used, have announced a U.S tour with Glassjaw, for October and November. 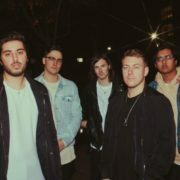 On this episode of DTB’s “Tour Tips (Top 5)”, the alternative/emo band, Alive/Alone, recommends their tips for being on tour, while on tour with The Words We Use, Despised Virtue and Northern Line. On this episode of DTB’s “Bus Invaders”, we take you inside the touring vehicle of the emo band, Fossil Youth, while on tour with Everyone Leaves, Caving and Pine. 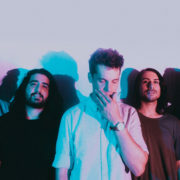 Fossil Youth is best known for their songs “From The Window” and “Late Night Swim”. On this episode of DTB’s “Crazy Tour Stories”, the emo band, Fossil Youth, shares crazy moments from touring, while on tour with Everyone Leaves, Caving and Pine. On this episode of DTB’s “Crazy Tour Stories”, the alternative/emo band, Alive/Alone, shares crazy moments from touring, while on tour with The Words We Use, Despised Virtue and Northern Line. 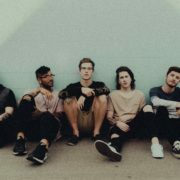 On this episode of DTB’s “Dream Tour”, the emo band, Fossil Youth, discusses their ultimate tour lineup, while on tour with Everyone Leaves, Caving and Pine. On this episode of DTB’s “Preshow Rituals”, the alternative/emo band, Alive/Alone, talks about what they do before taking the stage, while on tour with The Words We Use.